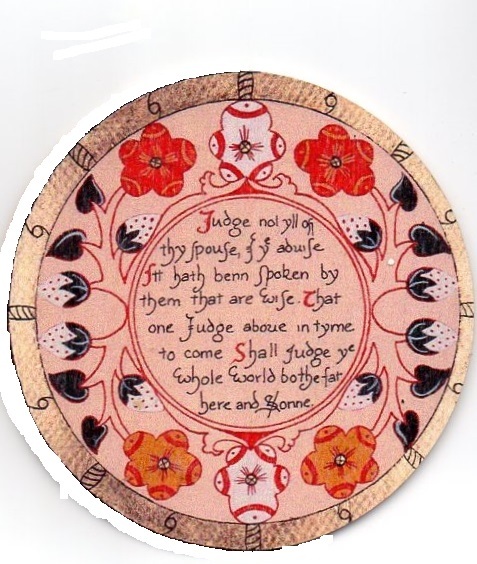 Replica of an Elizabethan Roundel, recreated by calligrapher Ann Frances Hall. Engraved in the later style. During my Open Studios event back in September, I had a visitor who proved to be an expert in a subject that has interested me for a long time. Ann Frances Hall has made a study of Elizabethan Roundels and rightly guessed that her work would be fascinating to me. Through study of this corner of social history, she has become an expert on these little items, which were used in early modern times as part of a banquet. The meaning of the word banquet has changed since Tudor times. Nowadays we use this term to describe a large, grand meal with many guests. Back then, a banquet was only the dessert element of the feast. It was served on a separate table, sometimes even in another building. The visual elements were important as well as the taste. Thus there were fantastic sugarcraft creations as well as smaller sweetmeats which were served on the roundels. So how does this fit with printing? Well I have been aware for a long time of the Stuart roundels that are in the British Museum. I’d toyed with the idea of making my own, but concluded that hand printed items and sticky food don’t really mix. However (DOH time) Frances explained that the sweets or fruit were served on the plain side of the roundel. Once finished, the roundel is flipped over to reveal the decoration and the poem or motto. So the purpose of the banquet is to delight the palate, the eye and the brain too. In Tudor times the roundels were hand painted, and this is the style that Frances reproduces. She makes a set that can be presented in a wooden box. 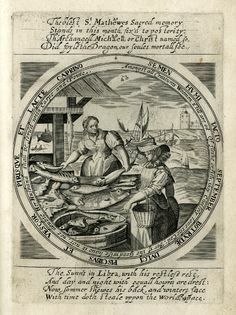 By Stuart times, the hand embellishment had been replaced by engraved prints, which were often sold in sheets and cut to fit the wooden roundels by another craftsman. Now that I know a bit more about them, I may revisit the idea. I will have to work hard though, to improve on Frances’ delicate artistry.